Posted under Health Guides. Updated 2 August 2017. Sinusitis is a medical term that means that your sinuses are inflamed (irritated and swollen), usually because of an infection. If you’ve been congested, your head feels “stuffy,” you have a bad headache, and you feel pressure or pain around your eyes (especially over your cheeks), it could be sinusitis. Read on to learn more about this condition and how it’s treated. Your sinuses are small spaces in your skull that are filled with air. They’re located behind your eyes, cheeks, forehead, and nasal (nose) bones. They’re lined with mucus membranes that work to keep your nose from becoming dry and also trap bacteria so that it doesn’t get into your lungs. Sinusitis often starts with a viral infection such as a cold, which can cause your sinuses to become inflamed, or “blocked”. When your sinuses are blocked, too much mucus builds up and doesn’t drain properly. Bacteria then get trapped in your sinuses where it’s easy for them to multiply, causing an infection. Some of these symptoms occur with other illnesses, so it’s important to see your health care provider (HCP) to make sure you get the right diagnosis and the correct treatment. How can my health care provider tell if I have sinusitis? Your HCP will ask you about your symptoms and examine your nose and face. This may include shining a light inside your nose to look for inflammation, and tapping on your sinuses to look for inflammation and signs of infection. Most of the time a diagnosis is based on your symptoms and whether you’ve had a sinus infection in the past. 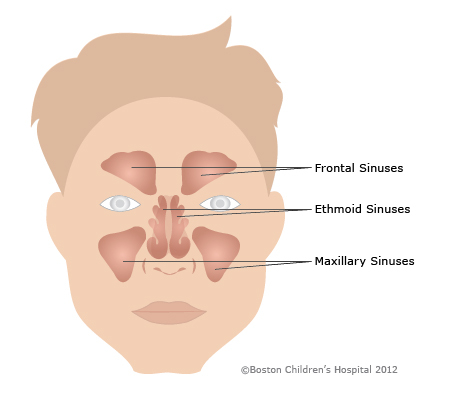 What is the treatment for acute sinusitis? Often (bacterial) sinusitis will get better with comfort measures alone. If symptoms do not improve within a few weeks, your HCP may decide to treat your sinus infection with an antibiotic. Is there anything else I can do to feel better? If you have sinusitis, make sure to follow your HCP’s advice. If your HCP has prescribed medicine, make sure to finish all of it, even if you start to feel better. Can I do anything to prevent sinusitis? Yes, there are things that you can do to help prevent getting sinusitis. 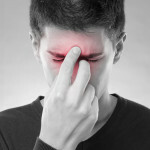 Can I cure migraine headaches permanently?